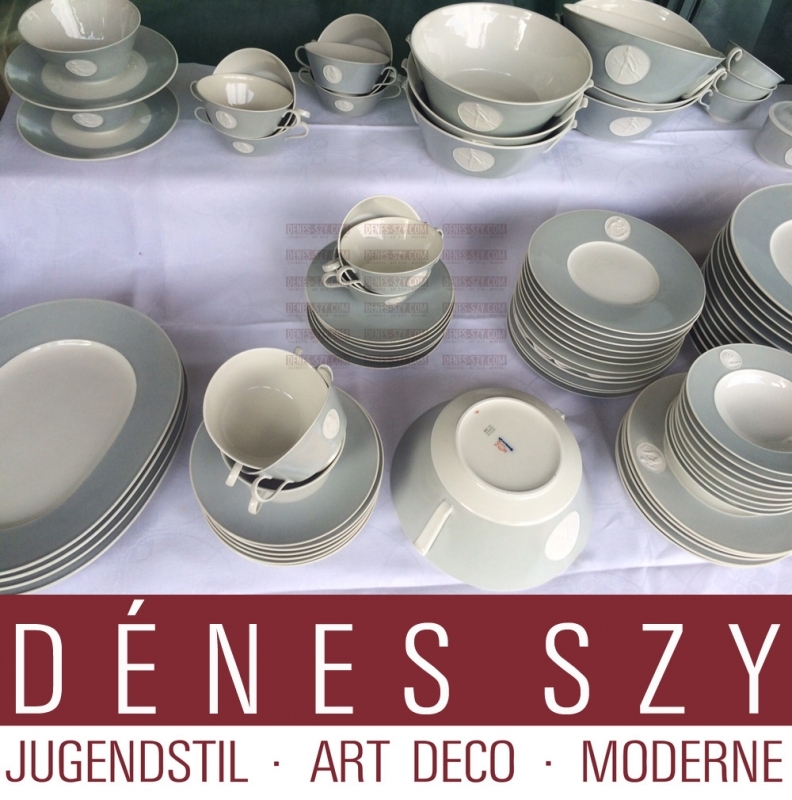 Royal KPM Berlin Schütz Petri Arkadia porcelain Service. 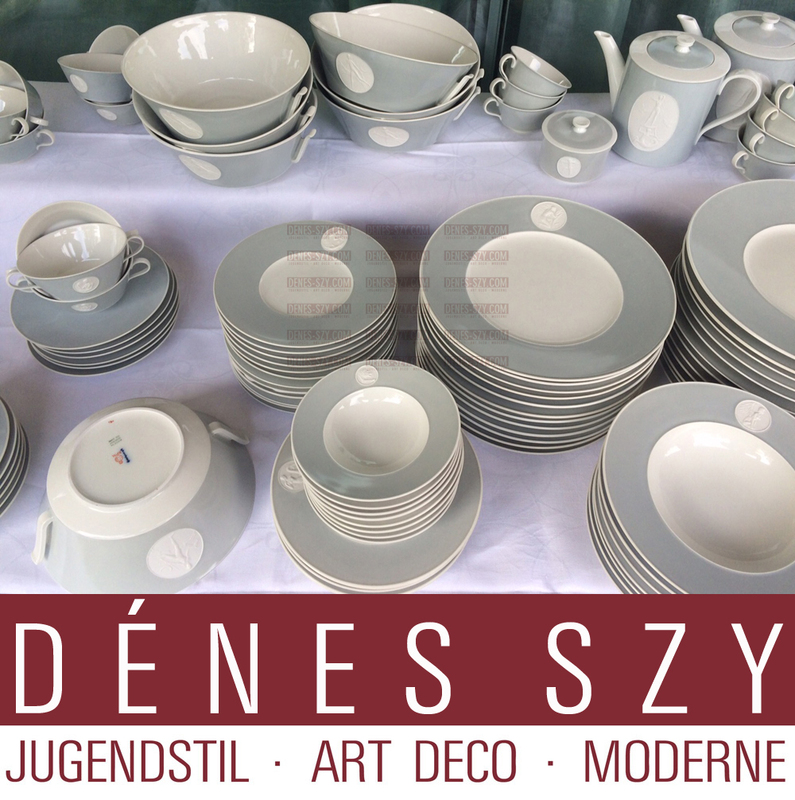 Mid Century Modern Royal KPM Berlin China, Design Sigmund Schuetz Trude Petri pattern Arkadia ARCADIA cream white with gray large Dinner Service Germany 1940 – 1950. Royal KPM Berlin China, ARCADIA pattern Dinner Service in Gray for 12 persons. 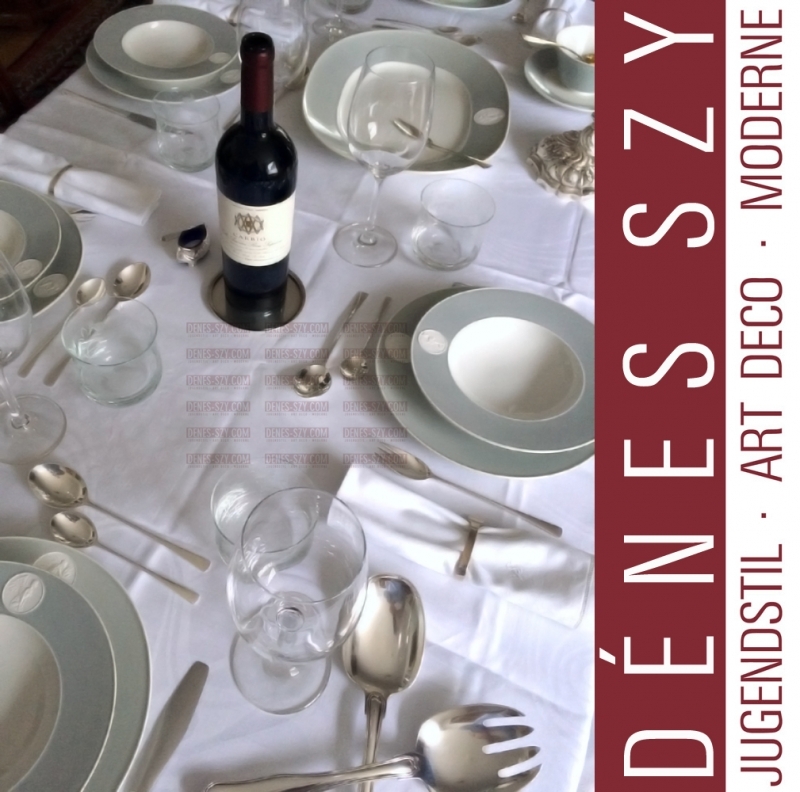 The ARKADIA dining service is the anniversary service for the 175th anniversary of the Berlin manufactory. After the destruction in the Second World War, some forms and medallions (motifs) had to be redesigned or reconstructed !! State of Berlin since 1918 to 1988. Please ask us for possible compilations! The year 1918 marks the end of the monarchy. The Emperor goes into exile.